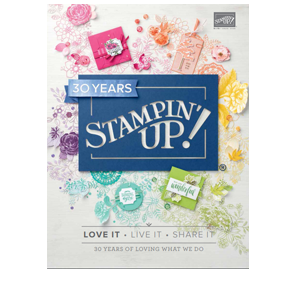 Welcome to a very special blog hop, dedicated to the upcoming Occasions Catalogue, where we are showcasing just a small taste of new products to you. 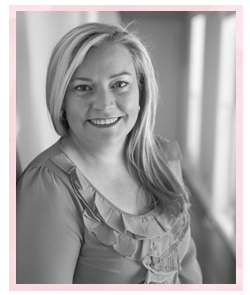 You may have just hopped here from Jenni Pauli, I just adore her! OH-MY-GOLLY-GOSH! I know, I know, I do this every time.....gush and drool over every upcoming catalogue. BUT, you just have to see it for yourself to know where I am coming from! At each and every turn of the page there is something new and exciting. I have no doubt you are going to LOVE the Occasions Catalogue launching on the 5th January 2016. My card was inspired and also derived from a gorgeous card I received from Mary Fish recently. You can see it here. It's so pretty and feminine, I was so delighted when it arrived....ok, yes I was more than delighted...I jumped around the office in pure joy, announcing it to everyone like it was a letter from the queen! LOL. The card stayed in tact, however I carefully deconstructed and 'upcycled' the envelope liner and used the gorgeous new Birthday Bouquet Designer Series Paper. 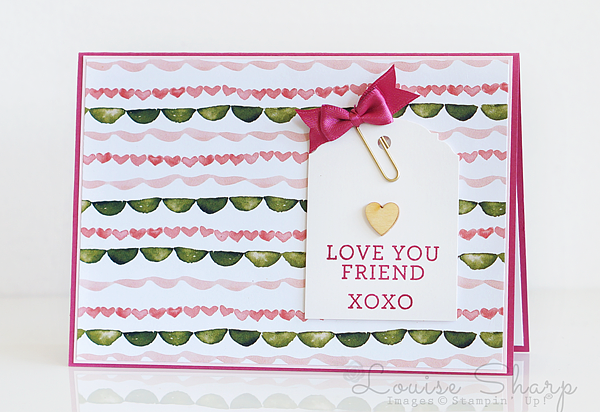 I have used some AD-ORRR-ABLE new pieces from the Love Blossoms Embellishments Kit (I hope you're taking notes) and the sentiment is made up of stamps from the new Bloomin' Love stamp set. I am not going to take up anymore of your time, it's now time to move onto the super talented and awe-inspiring Sam Donald, aka Pootles - love her! Be sure not to miss out on any projects! 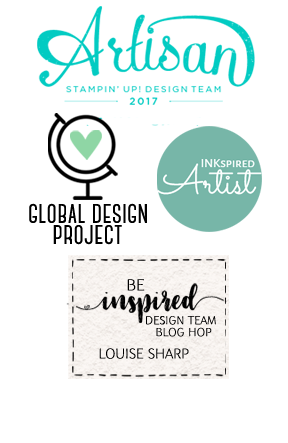 If you get off track at any time, there is a list below of all our amazing blog hop talent. Fantastic card. I love that sweet bow and am especially excited to see the "up-cycle" of my envelope liner across "the pond!" So cute and so sweet ! Love it ! aaaaaw, the bow is so cute! great! 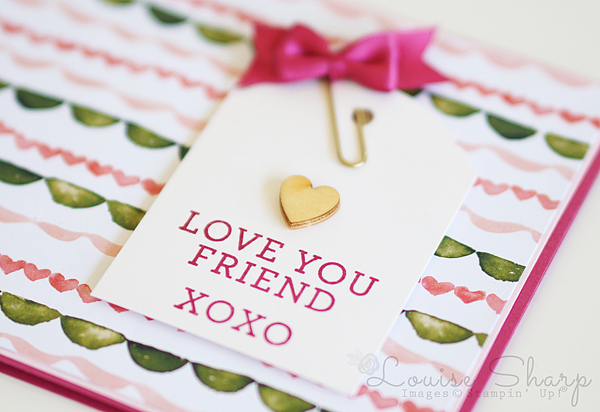 This is so you Louise - I adore your card and love the clean, layered card you have created. The DSP is stunning! Thank you for your inspiration. All the little details - the heart, the bow, the clip = amazing! Too cute! Like the bow, too! Awesome Card!